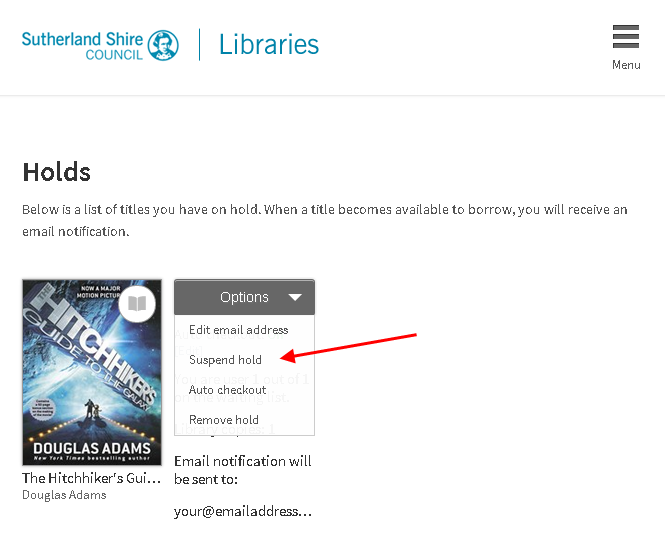 In a recent update to our Overdrive audiobooks and ebooks service 2 new features were added that users of this service will want to know about. 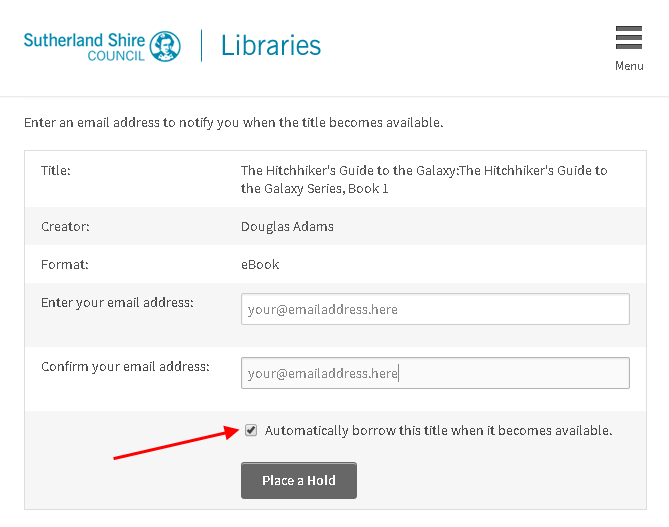 When you place a hold on an Overdrive title you now have the option to automatically checkout the book when it becomes available. Previously, users were notified of the availability of a title on hold and had to visit Overdrive and checkout the book within 3 days or the title would move to the next person in the queue. Now, users who select auto-checkout will receive a notification when their title is available confirming that it has been checked out and can be found on their Account bookshelf. Users who do not choose this option will follow the current hold notification process. If a user is unable to borrow the title at the time it becomes available (because they have already reached their maximum checkout limit or they have overdue fines, for example) they will be sent the current hold notification email and will have the full hold pickup period to make their checkout. This feature allows users to temporarily suspend a hold in the waiting list. The user’s position will continue to advance in the queue while their hold is suspended, but the hold will not be filled. If a user advances to the first position in the waiting list while the hold is suspended, the system will skip ahead to fill the next available hold, much like letting someone go ahead of you in the queue at the supermarket. After the suspension ends, the title will continue to advance until the hold becomes available. If you would like to see these new features in action you can watch this short video from Overdrive showing how auto-checkout and hold suspensions work. Alternative, ask a staff member next time you visit the library.